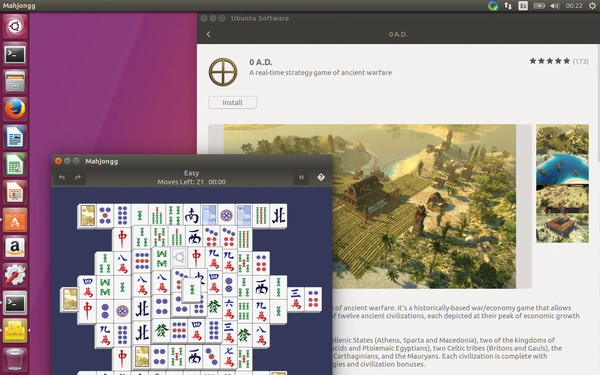 This month, on our double-sided disk, we have the newest version of Ubuntu, 17.04 – Zesty Zapus and the 64-bit version of Ubuntu. 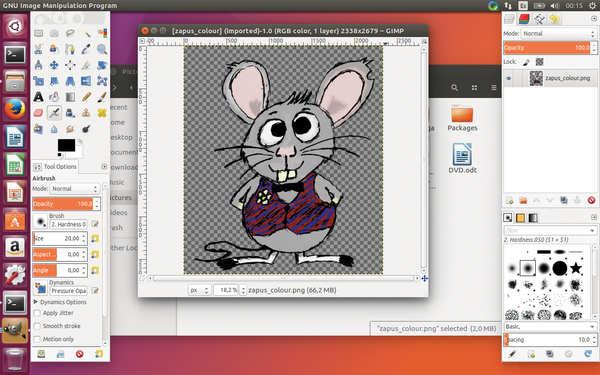 This month, on our double-sided disk, we have the newest version of Ubuntu, 17.04 – Zesty Zapus. It comes with updates and changes you won't want to miss. Zesty comes with the new graphical software installer introduced in 16.04. The command-line suite of Apt tools has also received a facelift making it much easier to use. The Snap system of self-contained packages has a growing catalog of packages for you to choose from. On side B, you'll find the 64-bit version of Ubuntu. This version will work better on more modern machines and will deliver a faster and more optimized experience. If in doubt, try this version first. Side A comes with the 32-bit version of Zesty, ideal for older machines or if you have compatibility problems with libraries or apps. This DVD is a double-sided Live disk. You can try out the operating system on the disk without installing anything on your computer. 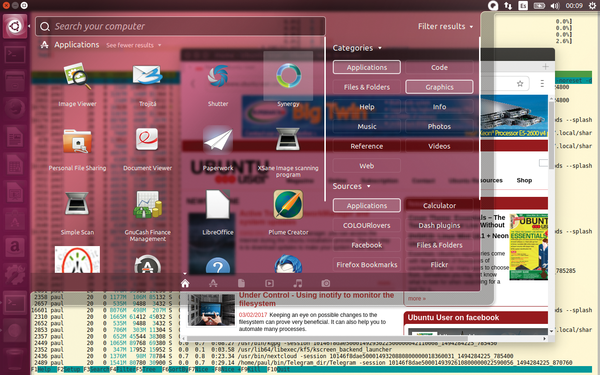 You can later install the 32- or 64-bit version of Ubuntu from the Live desktop. The DVD has a label on side A of the disk, so, if you want to run the 64-bit version of Ubuntu, the side with the label should be facing up in the tray. If you want to use the 32-bit version, you should insert the disk with the label facing down. 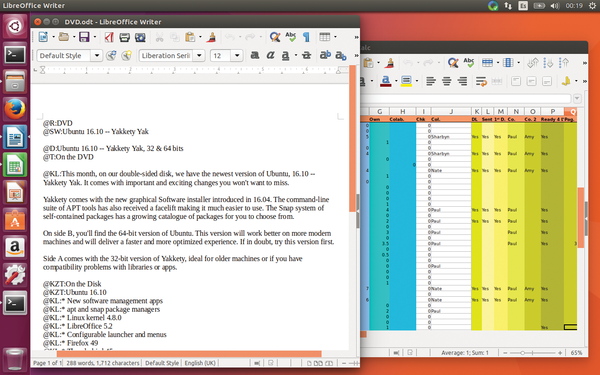 This month, on our double-sided disk, we have the newest version of Ubuntu, 16.10 "Yakkety Yak." It comes with important and exciting changes you won't want to miss.